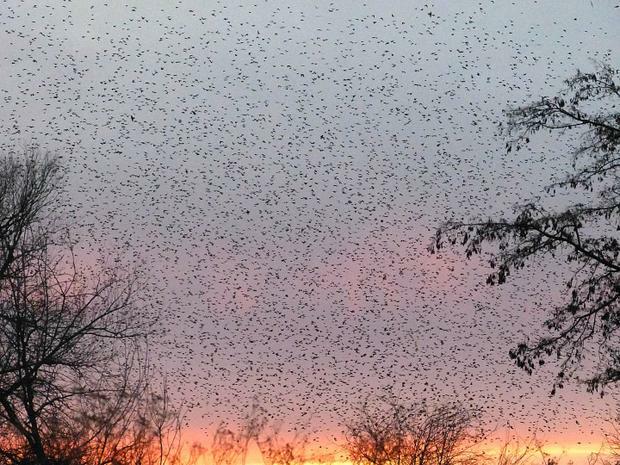 Shows » 61 Tons of Robins! In winter, flocks of American Robins spend the night together. 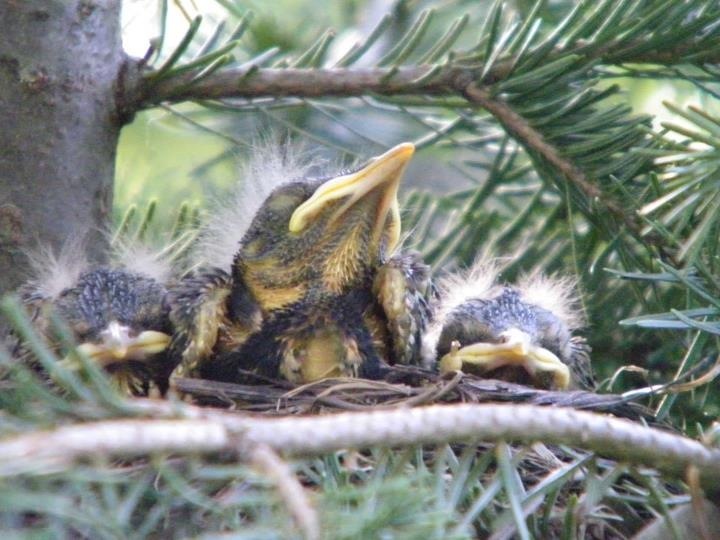 Typically, a few dozen to a few hundred birds roost communally in trees or an old barn, or under a bridge. But larger robin roosts can number in the thousands, or even tens of thousands! In 2007, observers near St. Petersburg, Florida, estimated that 720,000 robins were roosting on an island of mangrove trees. 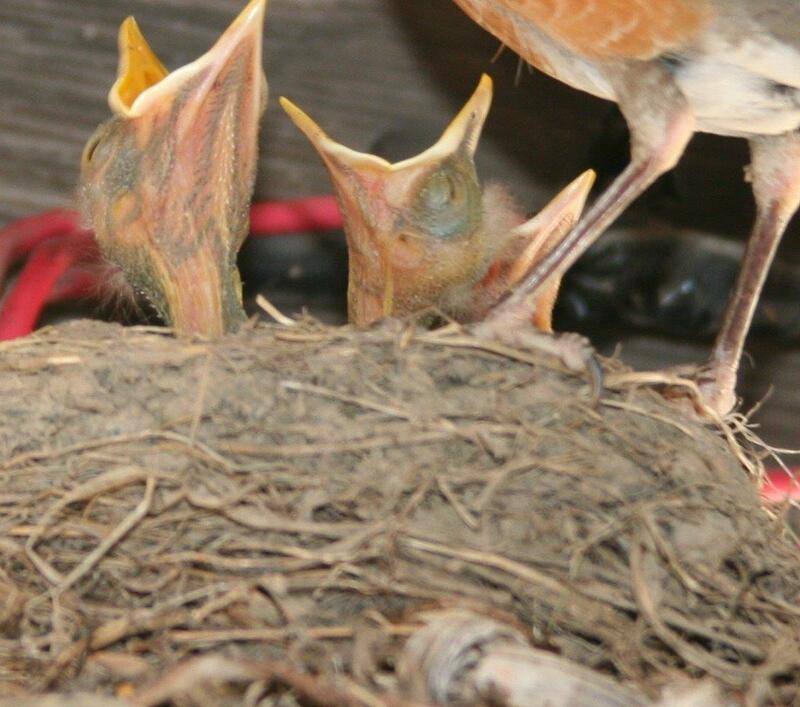 If the average robin weighs 2.7 ounces, that was nearly 61 tons of robins! Send this story to a friend — click on Share this Story or one of the social media buttons. A remarkable number — until we consider the scene near St. Petersburg, Florida during the winter of 2007. Observers here counted robins arriving in late afternoon to roost on an island of dense mangrove trees. For two and a half hours, the stunned census-takers watched a steady stream of robins flying overhead. [Wing flaps] Based on the rate of birds passing by per second, a conservative estimate was 720,000 robins. 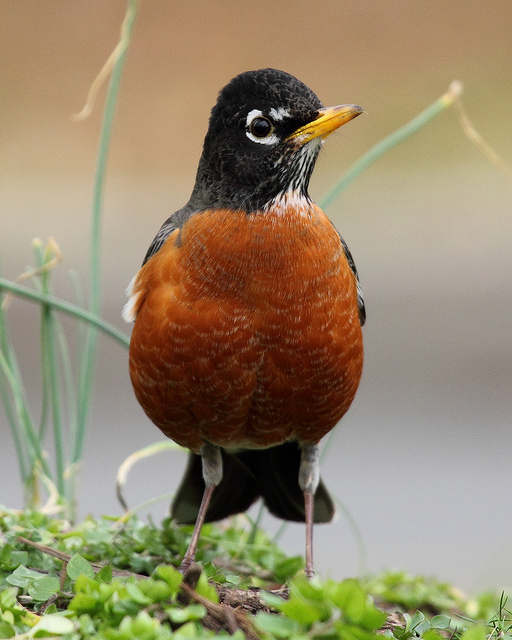 If the average robin weighs 2.7 ounces, that was nearly 61 tons of robins! 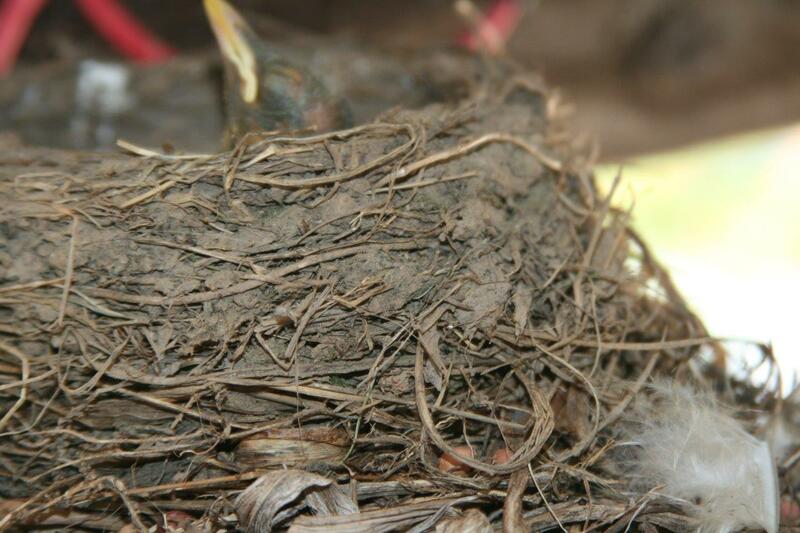 The previous year, the same roost hosted a mere 42,000 robins. In 2007, it was likely snow and ice to the north and west that pushed these legions of robins to Florida. Birdsounds provided by The Macaulay Library of Natural Sounds at the Cornell Lab of Ornithology, Ithaca, New York. Song of American Robin  recorded by W.L. Hershberger. Call notes of an American Robin  recorded by G.A. Keller. The wing flaps of individual birds, plus the flocks in flight featured in today’s show were recorded by Gordon Hempton of QuietPlanet.com.